Back at the end of 2012, just in time for New Year’s Resolutions, I wrote an article all about smartphone addiction Are You Addicted To Your Smartphone? Are You Addicted To Your Smartphone? At one time, landlines and payphones were all we had--and we survived just fine, thank you very much. But now, it’s almost laughable if you don’t own an iPhone or Android, and for some of... Read More . There were a lot of commenters who admitted to their reliance on their phones, how vital their phones were to their everyday lives, and how they could see the real dangers of smartphone addiction (if not physically, then at least emotionally and socially). I still believe it’s a real problem. We created technology to serve us, yet so many of us – myself included – have fallen enslaved to our phones. Ever lose your phone for one moment and felt your heart jump out of your chest? That’s what I’m talking about. Don’t let your smartphone master you. Take control over your smartphone by avoiding these potentially harmful habits. The Apostle Paul once said “everything is permissible but not everything is beneficial“. In other words, just because you can doesn’t mean you should. This is a truth that could apply to many aspects of life, but it’s especially true for always having Facebook, Twitter, and Instagram at the tips of your fingers. We all know the kinds of people who tweet about their latest test scores, the rude guy in line at Wal-Mart, or (God forbid) the impressive dump they just took during their lunch break. Maybe you’re one of them. Yes, you can update your statuses with that information if you want and there are no laws stopping you from doing so, but why? Solution: Before submitting your next tweet or status update, ask yourself – does the world really need to know this? Or another approach is would the world be in detriment if I didn’t post this? Here’s one downside of smartphone addiction that can actually make your life worse – when you tend to drop real life interactions or commitments in favor of diddling with your smartphone, you may have a serious problem. I don’t know about you, but I’ve always had a pet peeve against people who bury themselves in their smartphones during social gatherings, whether we’re out to dinner, discussing a group project, or even playing a round of board games. Not only is it rude, but it kills the momentum and social flow of conversations (depending on the size of the group). Solution: Next time you go out somewhere as a social gathering, play the Phone Stacking Game. Basically, everyone stacks their phones faced down and the first person to reach for their phone is punished. The punishment can be whatever you decide: if out to dinner, they pick up the whole bill; if out celebrating, they buy a round of drinks. Your imagination is the limit. Personal downtime is one of the most common times to reach for your cell phone. You might be taking an hour-long commute to work by subway, or you might be waiting in line at the airport. Either way, you’re bored so you bust out the phone and twiddle away on it. For most people, this might not seem like a problem. Maybe you don’t think it is either. However, we need to keep in mind that phone-tunnel-vision is an inherently antisocial activity. You’re missing out on all of the scenery, the people, and the opportunities around you. Playing phone games on downtime is okay every once in a while, but when it happens every time, you’re going to atrophy. Solution: Exercise a bit of willpower and keep your phone in your pants (or purse) even when you’re bored. Instead, strike up a conversation with the person standing behind you at the post office. If you’re on a train, look out the window and study nature. Or just daydream. Everyone loves daydreaming. Playing with your cell phone while inebriated, intoxicated, wasted, or whatever other descriptor you want to use can bite you in the neck when you wake up the next morning. If you’re constantly on your cell phone when you’re sober, just imagine the damaging acts you could do while drunk. Let’s skip over the obvious one that deals with propositioning ex-girlfriends. If you use Facebook or Twitter a lot 10 Ways to Update Facebook & Twitter Simultaneously 10 Ways to Update Facebook & Twitter Simultaneously Read More , you could say something that you never intended to say publicly. You could harm or even destroy some of your personal relationships due to one mistake. And what about racy pictures that you unknowingly take but forget about until someone accidentally finds them? Cell phones do not mix well with alcohol or drugs. Solution: If you have a designated driver or someone who just doesn’t fall as low under the influence as you do, hand them your phone for the night. Make sure you trust them, of course. 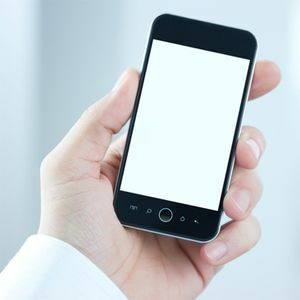 As discussed in #1, cell phones are so closely tied together with social networks that we’re always only one finger away from Facebook, Twitter, and all those services. You have an audience at all times, so when life throws you a curveball, social media is right there as your soapbox for ranting, venting, and frustration relief. It’s so easy to hop on Twitter after your boss fires you and smear his name across the Twitterverse. Maybe you talk trash behind your coworkers’ backs (or even your friends’ backs) when drama surfaces. Or you just say a lot of generally nasty things when you’re angry. All of this can come back and bite you in the neck, sometimes with real-life consequences What Behavior Will Get You Into Trouble On Twitter What Behavior Will Get You Into Trouble On Twitter There used to be a time when an employer would laugh at you if you were an avid social media user. Nowadays, employers will think you’re a weirdo if you don’t use Facebook, Twitter, LinkedIn,... Read More . Solution: Don’t use your phone when you’re in a bad mood except when necessary. Tying in with #3, exercise some willpower and go find something else to do that will help with releasing your frustrations. You don’t want to say something that you’ll regret a few hours later. And here’s probably the biggest reason why people like you and me are so tied to our phones: it does everything. Personally, my phone acts as my center for notes, music, communication, GPS, and browsing (when I’m not at home). When your phone can do so much, it’s easy to become reliant on it. This is called “putting your eggs in one basket” and that’s why it’s so devastating when we lose or break our phones: we lose everything. The phone is where we keep every aspect of our lives so we become enslaved to it. No wonder we’re so addicted. Solution: Don’t put everything in one basket. Duh! Easy advice, but definitely easier said than done. What I’ve done is to use a Moleskine notebook 5 Ways To Kick Your Moleskine Notebook Up A Notch 5 Ways To Kick Your Moleskine Notebook Up A Notch Over the years, the Moleskine notebook has become a trademark staple for anyone dabbling in creative endeavors. In fact, the Moleskine is almost as iconic as the Apple laptop, the hipster glasses, and the daily... Read More for notes now. I only use my phone for music and GPS when I’m in the car. I no longer use it to browse the web. Having done all of that, suddenly I don’t feel so tethered to my phone anymore. You can do the same. Don’t get me wrong, smartphones are a great tool and, when used properly, can truly enhance the quality of one’s life. However, when abused, when people place too much faith and importance in their phones, there can be real and serious consequences. That’s the motto of pretty much anything, right? Good when used in moderation. So take heed that your smartphone doesn’t take control of your life. If you are addicted and mastered by your phone, start taking steps today to fight and regain control over yourself. I kinda wish this is an April Fool prank, but smartphone addiction is a real problem. I consider myself quite tech savvy, but I don't need my phone 24/7. Like you, I don't like it when we're in social gathering and people decide they prefer being social in social network. I am just waiting for some company to offer an implantable phone. That way all the addicts can be connected 24/7/365. Just think how much time that would save them! No need to fumble to find the phone, or to tap out the text. All they have to do is think about it and it will be sent. 'I hate that new professor. He's lame.' Ups, sent! 'I can't wait for this to be over! The boss says a bunch of nonsense.' Ups, sent! About #1 and its solution: "Before submitting your next tweet or status update, ask yourself – does the world really need to know this?" - ups! this requires more time than simply tweeting/status update. For all the self-centered twits (or is it tweeters?) the answer is always "YES - the world CANNOT get along without this tweet." I like to have my data and wifi connections turn themselves off automatically at least one hour before I go to bed and for at least one when i get up in the morning. I need time to chill out and relax at night and get my head together for the day ahead without the distractions of twitter and facebook etc. Plus it saves a heck of a lot of battery power as well. That's a great routine to get into. I recently went on a hike and it's amazing how much more leisurely everything is when you don't have smartphones buzzing away in everyone's hands! Resting before and after sleep is a good way to ease in and out of it all. Although I stop using my smartphone for a few minutes, maybe hours, the people around me don't stop using it. Somehow it destroyed our real social lives. That's what bugs me. Social networking and social media has turned into some kind of counterfeit socialization and people don't really converse anymore. Ironic, isn't it? "people don’t really converse anymore"
Yes, they do. They just changed how they do it. Have you never seen people walking side by side and talking to each other on their phones? I've seen people texting each other within a meter of distance. They say it's hard to talk directly. What? One way I use to decrease my reliance on my smartphone is that deleting some social apps and only leave the ones I really need to use. Social media is often so integrated with our smartphones that it's hard to get away from it, so uninstalling them is a strong step towards regaining control. We'll need to find another way to curb text messaging addiction, though. Haha. Great article! I realized a few months ago I was on my phone WAY too much, and have found little ways to curb it down. It's like a breath of fresh air sometimes.